Watch out West Coast IPA brewers! New England breweries are now brewing the latest and greatest hop-gasmic beers. Now, you may ask…What’s different about these New England IPAs and pale ales? Simply put, they’ve moved away from the west coast classic profile of a bitter citrusy hop character coupled with a light/dry mouthfeel and opted for a juicy tropical hop aroma and flavor coupled with a smooth, sometimes creamy mouthfeel with little to no lingering bitterness. One caveat though is that many of the breweries that have been producing New England style hoppy beers have quite limited distribution. Leaving hop-heads with the need to plan a New England road trip or organize beer trades in order to procure these sought after (at times quite hyped) beers. While I’ve only made one such road trip so far in order to get my hands on some of Hill Farmstead’s sought after IPAs, double IPAs, and barrel aged beers. 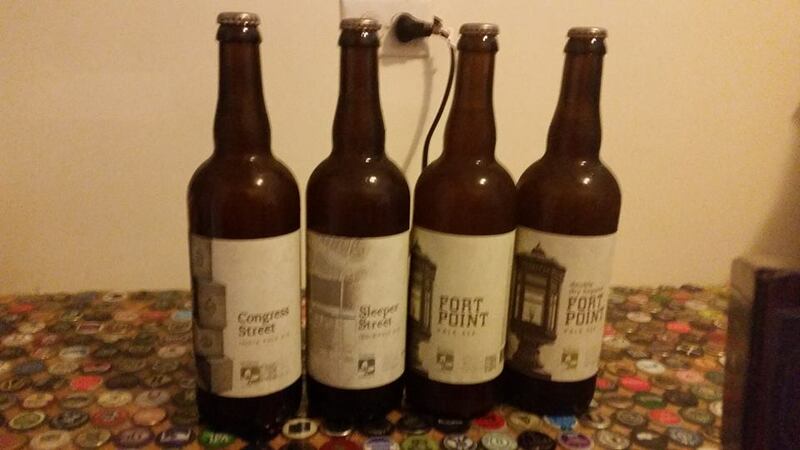 When a friend offered to pick me some beers from Trillium Brewing Company (Boston, MA), I accepted his offer without hesitation and ended up with four beers (750ml bottles). All of which are reviewed below. Quick side note: Because this post has consistently received a considerable amount of daily views I’d like to direct your attention to the Grain To Glass post that I put together for the New England style IPA that I actually brewed after being inspired by the Trillium beers reviewed below. Click here to check out a video of the entire process that I went through to produce my first New England IPA along with more information on this sub-style and written tasting notes. Brewery’s Description: Layers of hops-derived aromas and flavors of citrus zest and tropical fruit rest on a pleasing malt backbone in our Fort Point Pale Ale. Dangerously drinkable with a dry finish and soft mouthfeel from wheat. Our year round hoppy pale ale culminates in a restrained bitterness and dry finish. 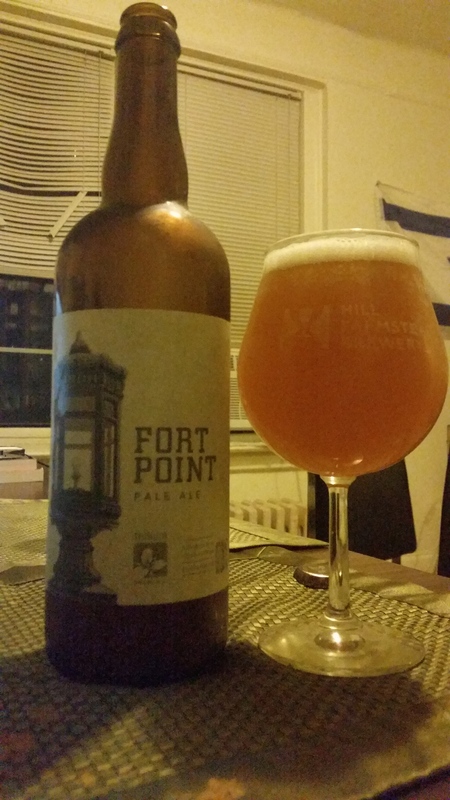 Trillium DDH Fort Point (Citra and Columbus): From what I’ve heard and read Trillium dry hops towards the end of primary fermentation and again in an oxygen purged bright tank after a “closed transfer” of the beer to its tank. Brewery’s Description: None available. 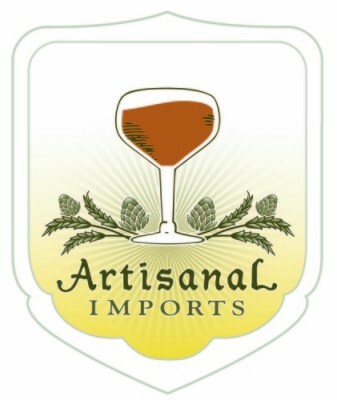 According to the American IPA – Hop Bills and Analysis on The Mad Fermentationist’s website this beer is brewed with El Dorado and Trillium’s go to versatile hop, Columbus. Brewery’s Description: None available. 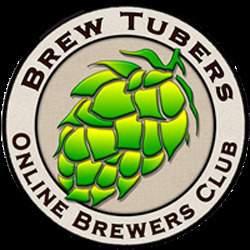 According to the American IPA – Hop Bills and Analysis on The Mad Fermentationist’s website this beer is brewed with Galaxy and Columbus hops. 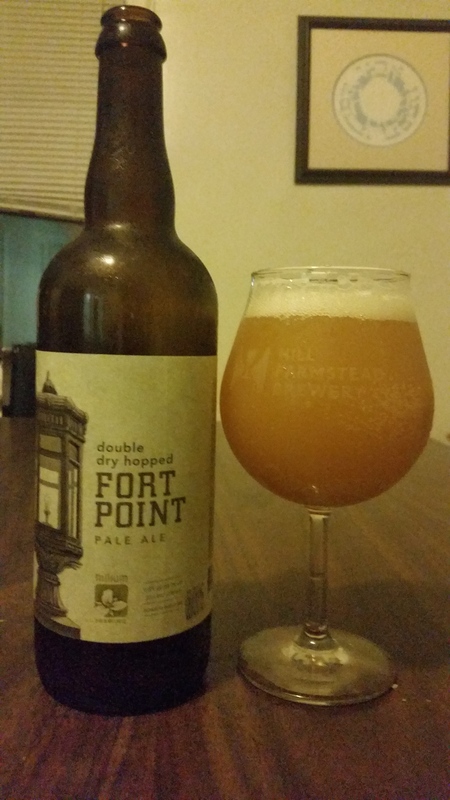 Comparable to DDH Fort point in appearance this beer poured straw to light orange in color, had full on NE IPA cloudiness, and was topped by an off white head that dissipated quickly, but left behind a considerable amount of lacing. Congress Street’ initial aroma consisted of fresh peach, tangerine, and grapefruit with mango and a resiny quality surfacing in as warmed. The hop complexity followed seamlessly into the taste with added passionfruit and papaya notes rounding out the beer’s overall hop juiciness…Yet another tick on the NE IPA checklist came from the beer’s balanced bitterness and smooth and creamy medium body. So while the malts lent that great balance, they didn’t lend discernible flavors to the beer. 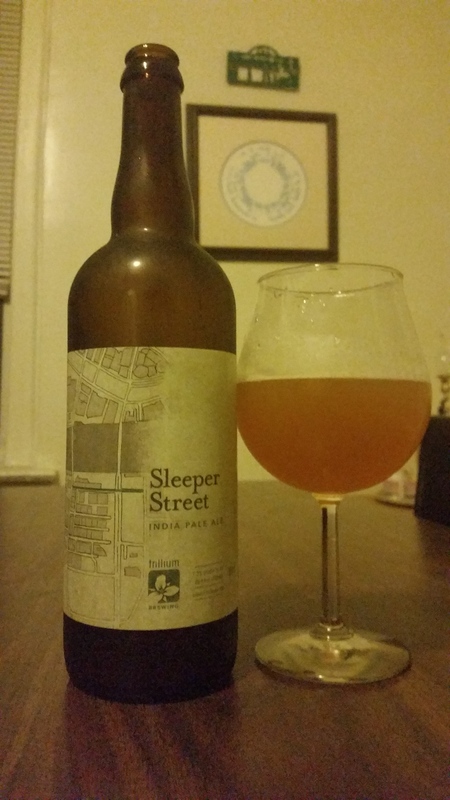 In the finish there was a touch of citrus pith, hop astringency, and dankness left on my palate which at first reminded me of a WC IPA, but as I sipped on the dankness faded and notes of fresh orange Juice, candied pineapple, and passion fruit sorbet enhanced and smoothened out the finish. Rating: 9/10 – best use of galaxy hops that I’ve tried to date. After finishing these four great beers I was inspired to put together a recipe for my own iteration of a New England style IPA. Though it may need to be tweaked a bit before I brew it, I’m happy with the first draft (below)…All feedback is welcome. Cheers! Note: I accidently forget to the change the style to IPA in BeerSmith, but intend to do so ASAP. 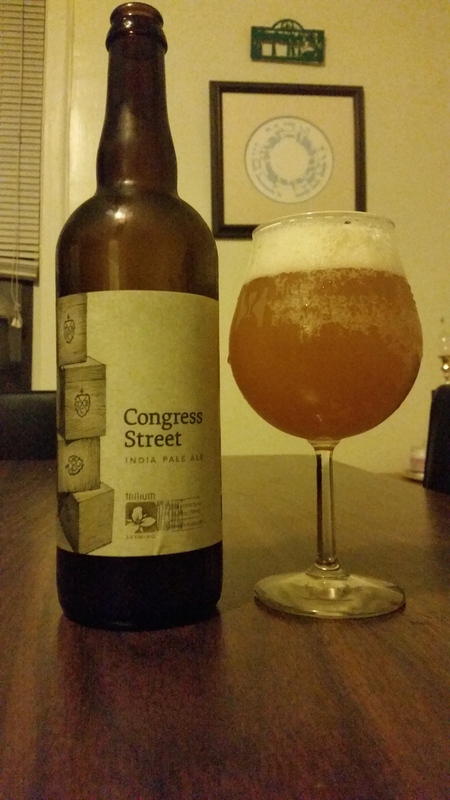 This entry was posted in Beer Reviews, Homebrewing and tagged Congress Street IPA, DDH Fort Point, Fort Point Pale Ale, New England IPA, New England style IPA homebrew, Sleeper Street IPA, Trillium Brewing Company. Bookmark the permalink. If you want to brew this exact recipe then replace the pale malt and crystal 20L with 8.25 lbs of Light DME and steep the rest of the grains. did you try this recipe? what were your thoughts on the outcome? 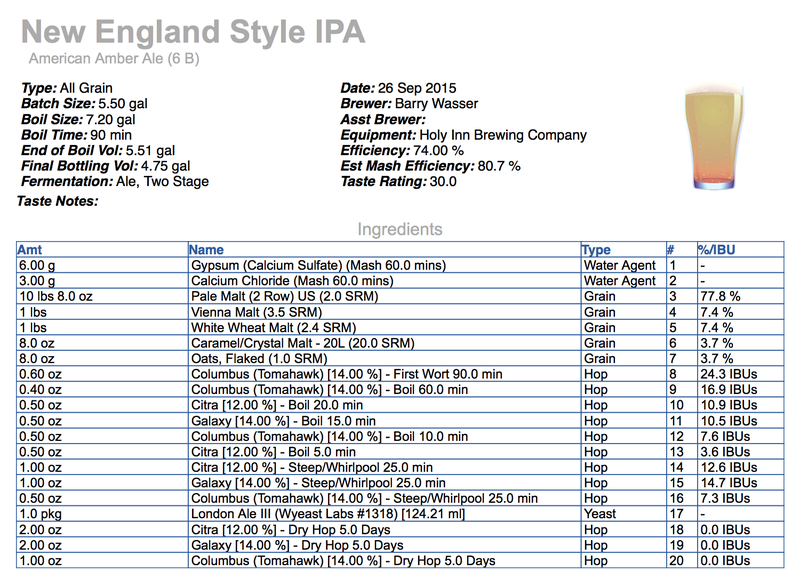 I didn’t try this specific recipe, but there’s a link towards the top of this post for the first NE style IPA that I brewed which I called Nectar of the Bine IPA and was quite satisfied with the outcome. Cheers!